Our responsive Sales and Customer Service Teams provide specialist knowledge and technical sales support for our lighting OEM and electrical wholesale customers. 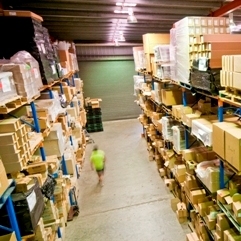 We offer a wide range of quality components with most items available for same-day or overnight supply from our Sydney-based warehouse. Our extensive range is also available through a reliable network of distributors across Australia and New Zealand. Regular import from international suppliers and close working arrangements with key local manufacturers underpins our investment in stock and fast, efficient supply of specially sourced items. If you'd like more information about our Service Excellence or any of our products, please get in touch with our Customer Service Team by clicking here.